The United States City County Business Marketing Map is printed in black, white and blue as the image depicts. 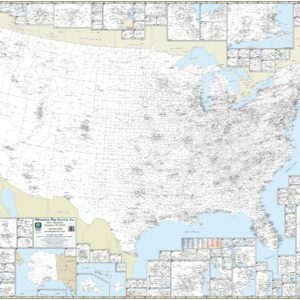 The map measures 65″ W x 48″ H and includes MSA (Metropolitan Statistical Area): Boundaries and Numbers. Other details included are cities and towns of a 5,000 plus population, state names and boundaries, and county names and boundaries. Special map features include insets of Alaska, Hawaii, and Puerto Rico; and insets of 46 cities in greater detail. 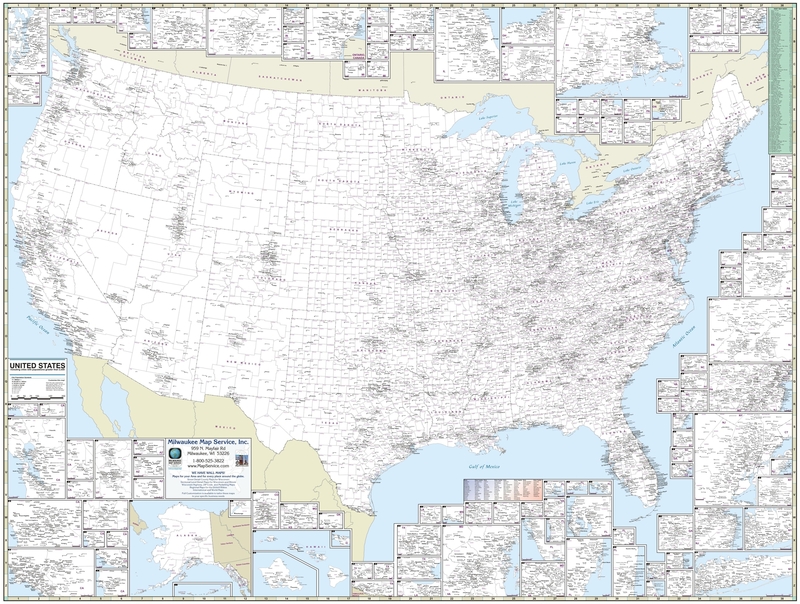 The most detailed wall map showing only States, cities and counties. Great for sales and marketing! The Business and Marketing map is available laminated (for durability & dry-erase) or black framed. Framing Details All framed maps are first mounted to a heavy duty foam/cork board then sprayed with a professional protective coating to give your map an extra layer of protection from dirt, oils and moisture. Custom decorative framing and non-glare glass are available for special order on request. Please contact us for custom requests. If you want it, we can make it!! Email us at [email protected] with any questions.